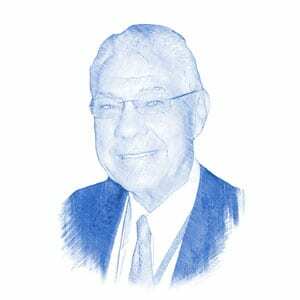 Earl Cox, Author at Breaking Israel News | Latest News. Biblical Perspective. Evangelical Christians are, without question, Israel’s strongest supporters in the United States. At Last, the Truth is Told! Who is finally telling the truth? Surprisingly, it is Mahmoud Abbas, the PA president himself. Let us run, with Israel, toward this band of giants who share not just the attitude of the Goliath of old, but also the same errors in judgment. Man’s inhumanity toward man began almost at the dawn of recorded history and hatred for the Jews is just as ancient. Anti-Semitism and anti-Zionism, combined with Islamism’s hatred of Israel, threaten to dangerously blur the line between truth and lies. The United States, and every nation that upholds, defends and declares the truth is to be applauded. It’s high time for the change. The Palestinian people deserve leaders who will give them not only jobs, healthcare and electricity, but sound governance – not bullets and incitement. If Israel and the Palestinians are ever to forge an agreement meaningful to both sides, Palestinian educational reform must be a linchpin. Israel’s Prime Minister Benjamin Netanyahu recently accused leftist Jewish billionaire George Soros of funding anti-government campaigns challenging Israel’s deportation of tens of thousands of illegal African infiltrators. The Anti-Defamation League’s latest global survey of 102 countries and territories found 26% percent of adults are “deeply infected” with antisemitic attitudes. The PA has long misappropriated the US and European aid to support jailed terrorists and their families, to the tune of more than half its annual budget.